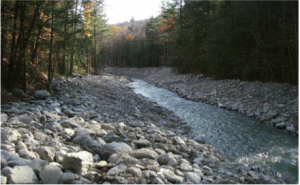 Trout Unlimited’s conservation approach is to protect, reconnect, and restore streams. With the recent historic flooding events, this conservation approach serves to guide local chapters, including Boulder Flycasters, in repairing and improving our local fisheries. Hydraulically complex streams most often hold more trout and insects; provide habitat for spawning and rearing; as well as cover for trout from predators and natural disasters. 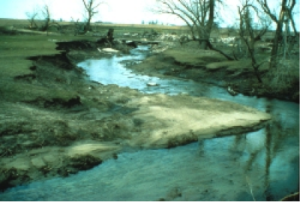 Floods can add more complexity to a stream in the way of downed tress and added riprap; but it also can channelize reaches, destroy stream buffers, introduce foreign objects and/or contaminants, load streams with sediment, as well as disconnect habitat. Additionally, to the detriment of streams, the rush to repair infrastructure and protect property after natural disasters is often done without stream health in mind. We need your help identifying problem areas and opportunities for stream protection, reconnection, and restoration. This year as you fish your favorite waters; drive, walk, or bike along a Front Range stream please keep your eyes open for stream protection, reconnection, and restoration projects and opportunities. Below are a number of potential stream protection, reconnection, and restoration projects and opportunities that are likely post a historic flooding event. If you see any of these concerns in a local stream, please take a photo(s), record the date and location, add a couple sentences on what you observed – and please send to: [email protected]. 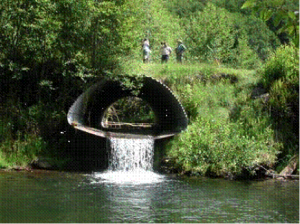 Fish Passage Disconnect: Via damming, culverts, or ditches- habitat can be disconnected. 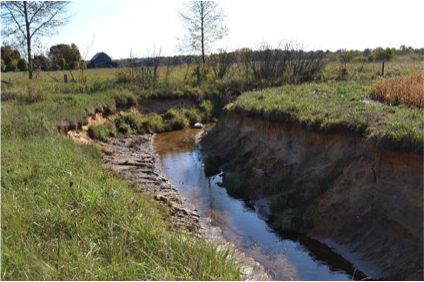 With ditches, look out for diversions that do not accommodate natural stream geometry and channel dynamics. Drops from dams, culverts, or ditch structures should not exceed 1 foot. In stream culverts of greater than 3 feet should contain river substrate and a pool at the base in order to break up water velocity. Riparian Buffer Disturbed: A healthy stream should be vegetated within 25 ft. of stream bank, After a flood event, vegetation will often return naturally, however for seriously denuded areas a little help can go along way. Introduced Objects or Contaminates: Structures, cars, propane tanksnon-natural debris, and/or chemicals should not be introduced to streams. 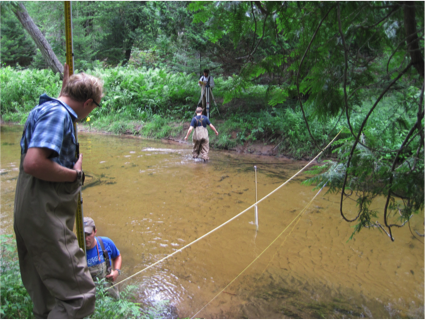 Trees and vegetation are often a benefit to stream health. Look out for large non-natural objects and/or chemicals. If you would like to donate to the Flood Restoration effort, you may do so using the button below.